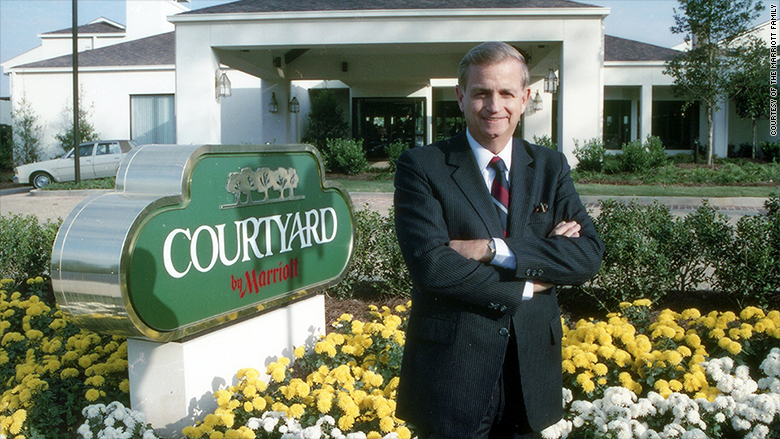 It's a question that has guided hotel heir Bill Marriott Jr. as he led his family's business, Marriott International Inc., for half a century. Marriott's most valuable lesson on leadership came on a December evening in 1954 during a brief chat with President Dwight Eisenhower. The President was visiting the Marriott family farm and trying to decide whether to venture out hunting on a cold day. "He looked at me and he said 'What do you think we should do, Bill?' Marriott recalls "'I just said 'Wow.' I said, 'It's cold out there, let's stay inside.'" It was a simple query, but carried a lesson that Marriot has never forgotten. "How did he [President Eisenhower] deal with the egos he had to deal with, Montgomery and Patton, and some of those people. He got along and he built a great legacy and he built a great team because he respected what they had to say. He wanted to learn what they had to say and listen to what they had to say," Marriott tells CNN in a new podcast episode of "Boss Files with Poppy Harlow"
The Marriott family story is made for the movies. Bill's father, J.W. Marriott, founded the family business in the early 1930s. He opened a root beer stand that later became a chain of "Hot Shoppes" restaurants, and eventually a Marriott hotel. Marriott remembers his father opening that first hotel in January 1957, just days before President Eisenhower's inauguration. It wasn't an easy start. The elder Marriott knew little about running a hotel. "He was very risk averse. He did not want to borrow any money. You can't build hotels without borrowing money," Marriott says. Marriott recalls asking his father for an opportunity to join the business. "I'd just come on board from the Navy and my father said to me 'Well, the hotel's not doing well.' I said, 'Well, why don't you let me run it?' He said "You don't know anything about hotels.' I said 'Neither does anyone else around here." So, he let me do it and I took over the first hotel and we turned it around," Marriott tells Harlow. The hotel was just outside of Washington D.C. at the 14th Street bridge, between what's now Reagan National Airport and the Pentagon. "It was $9 for the hotel room, and $1 for every extra person in the car," Marriott says, "The best thing for us was a family of four or five that pulled in. We got an extra four or five bucks." Sixty years later, Marriott has grown into one of the world's largest hospitality companies. In 2016, Marriott International acquired Starwood hotels and resorts for $13 billion. That deal brought together its Marriott, Courtyard and Ritz Carlton brands with Starwood's Sheraton, Westin, W and St. Regis properties. Today, 30 hotel brands fall under the Marriott umbrella in more than 122 countries and territories. As the company expands, Marriott says the hotel's mission hasn't changed. "People come first," Marriott tells Harlow, "We want our new operators and managers of our hotels to buy into our culture. We want them to understand the importance of people." Marriott stepped down as CEO in 2012, but remains the executive chairman of the company board. He says key to growing the business has been providing employees with opportunities, but he warns against hefty increases to the minimum wage. "I think it's been proven that if you raise the wages more than they should be raised that they're going to lose jobs. They're going to replace them. They're just going to close up," Marriott says, "You've got a lot of restaurants going out of business because they can't make it. One of the reasons that they can't make it is because the minimum wage is too high." Marriott International, the corporation behind the hotels which Marriott no longer runs, said in a statement that its pay levels generally exceed federal and state minimum wage levels. "The vast majority of Marriott associates at properties we manage earn more than the current federal minimum wage," the statement said. 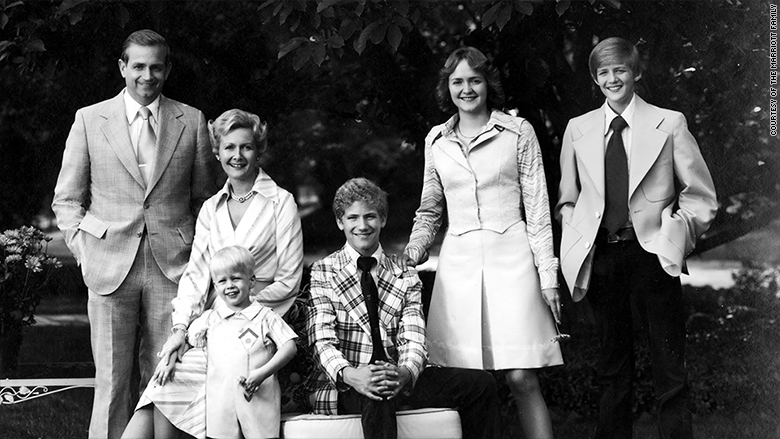 A Republican family that has long been active and engaged in the political realm, the Marriott's have been part of the Washington D.C. scene since President Eisenhower's days. In fact, [Willard] Mitt Romney was named after Marriott's father, John Willard Marriott. 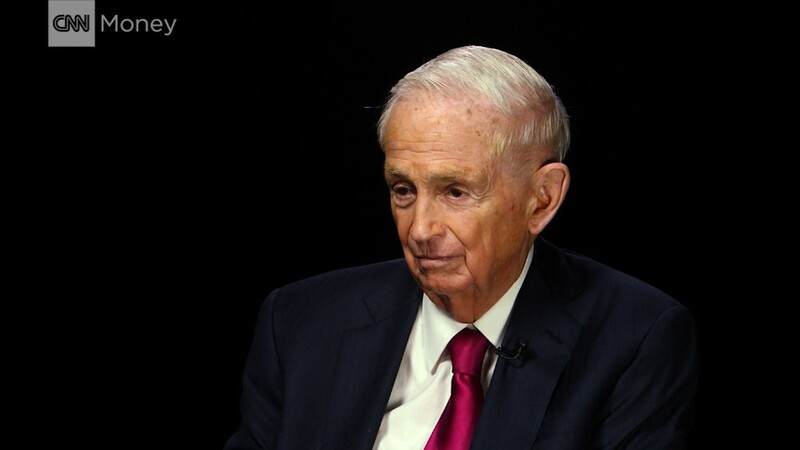 Bill Marriott, Jr. endorsed Romney in the 2012 presidential campaign. But today, Marriott finds himself conflicted by the political climate. "[It's] very unfortunate. I think that you don't get anything by fighting. You have to get things done, in business, as well as in government through collaboration, through working together, working with a team. That's not happening. Until it starts happening I don't think anything's going to happen," Marriott tells Harlow. Marriott says President Trump should make a greater effort to "reach across the aisle." "Get [Senator Charles] Schumer in the White House, have lunch with him, go to a football game with him, play golf with him. Do something with him. Start working the other side of the aisle a little bit. Make some friends over there," Marriott says. So why didn't he step into the ring? "It never appealed to me," Marriott tells Harlow, "I was having too much fun doing what I was doing."